IT'S TIME FOR ANOTHER #1085VICTORYPOD!!! 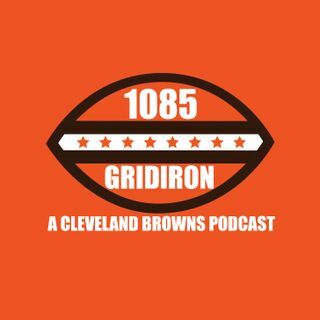 The Cleveland Browns defeated the Carolina Panthers 26-20 and Anthony Joki and Jack McCurry are here to break down the entire game. Anthony calls Baker Mayfield's touchdown pass to Jarvis Landry the best throw he has ever seen from a Browns QB in his lifetime. They get into the rest of his performance and if he is the leader in the clubhouse in terms of NFL Offensive Rookie of the Year. Could Freddie Kitchens be the next head coach of the ... Maggiori informazioni Browns? The guys get into other offensive performances such as Nick Chubb and how Breshad Perriman has revitalized his career here in Cleveland. The Browns defense bent but it did not break against Cam Newton and the Panthers. Jack defends the play of Myles Garrett this season as well. Playoffs? PLAYOFFS? YES, WE ARE TALKING PLAYOFFS. Anthony and Jack go into the scenarios of how the Browns can make the playoffs. Finally, the guys discuss the latest head coaching rumors including Mike McCarthy, Matt Campbell and the Harbaughs. Anthony suggests a combination of John Harbaugh and Freddie Kitchens.